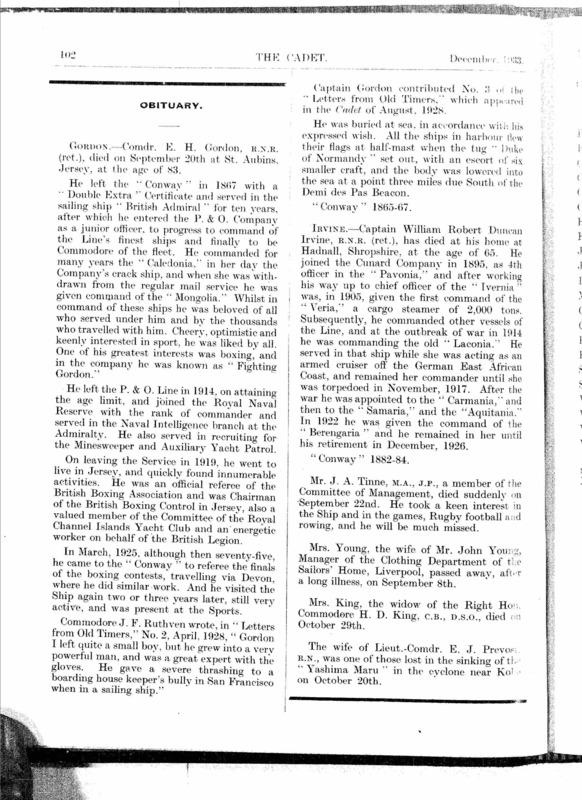 Capt H G Harrison Also Vice President of MMSA Obituary 1928 circa 1892 to circa 1928! 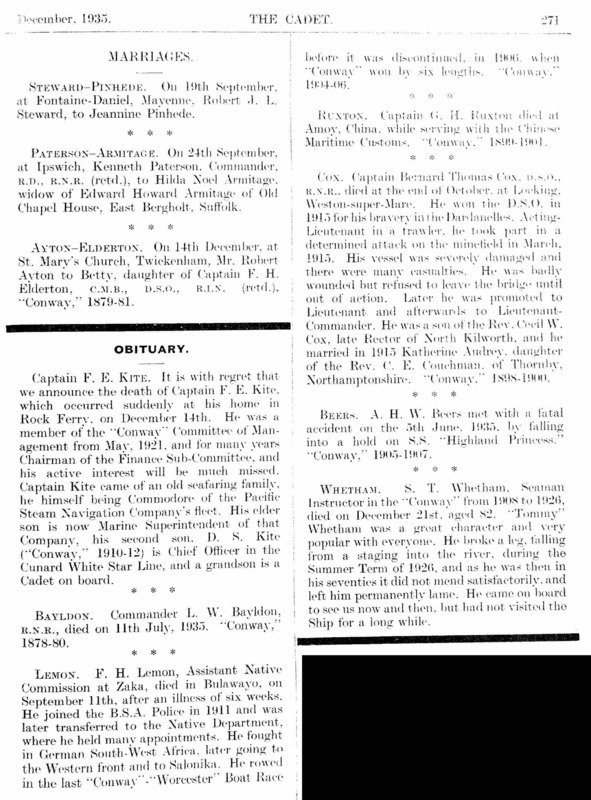 Capt E. R. Peel, son of cadet Peel (1887) and uncle of cadet Peel (1892). 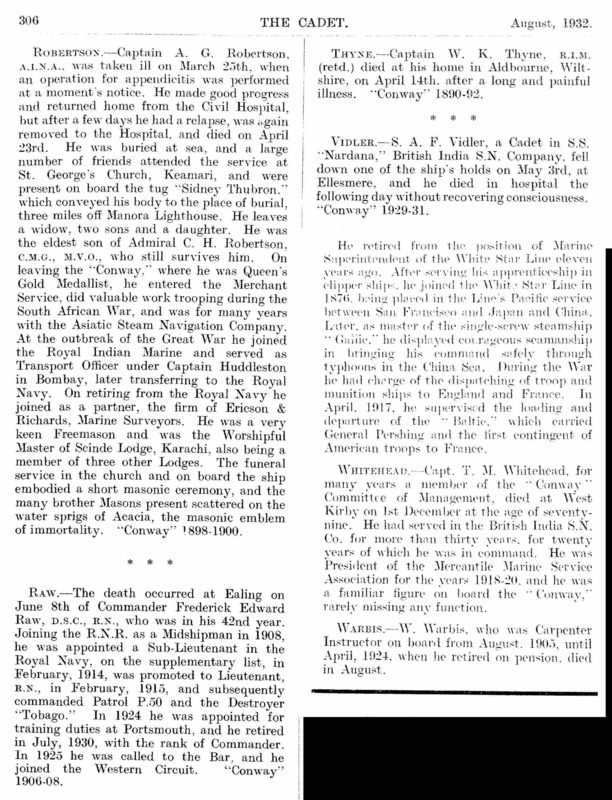 Obituary 1 Obituary 2 Death Notice 1912 Approx 30 years to 1912! 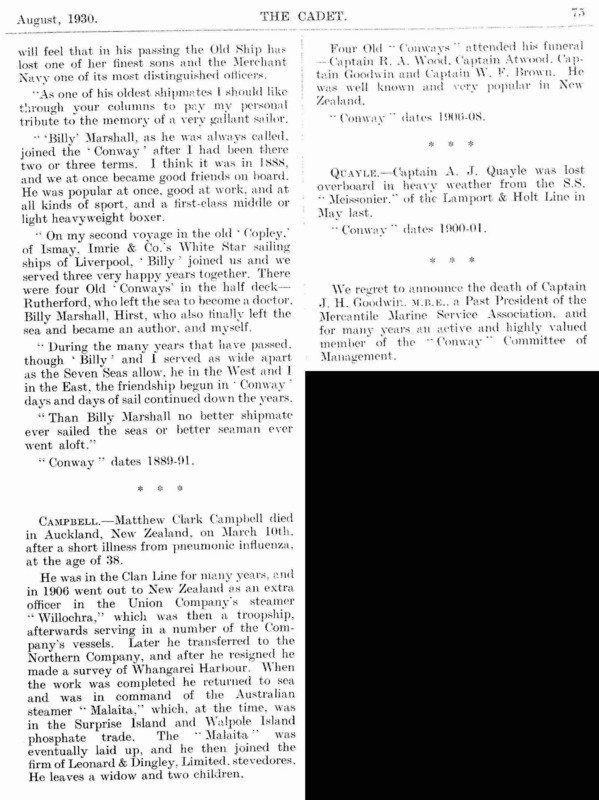 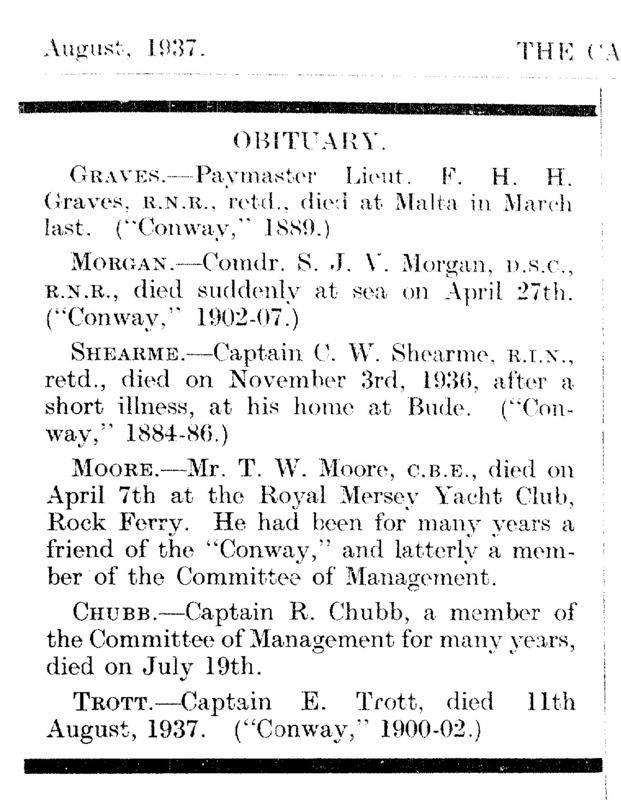 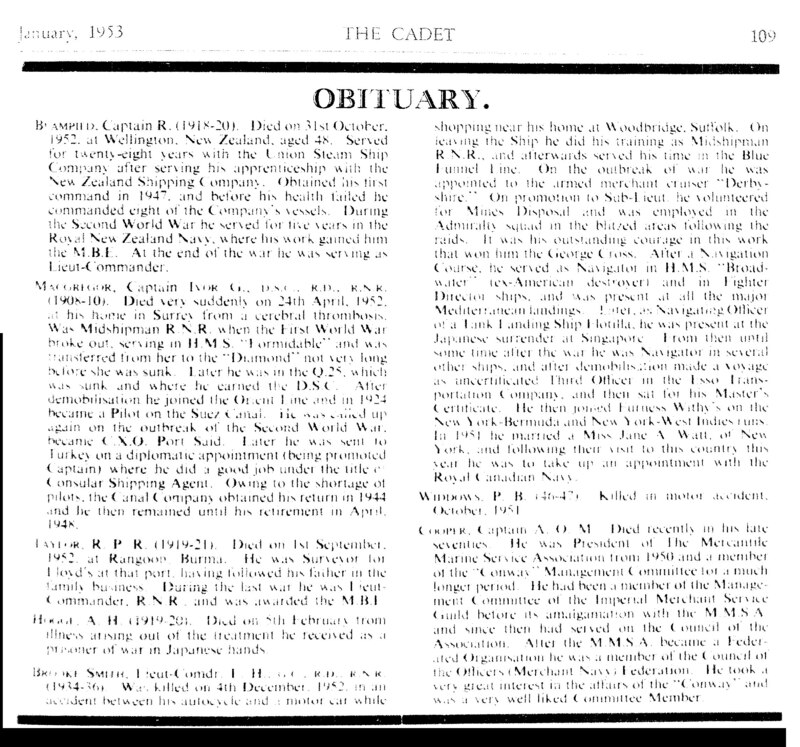 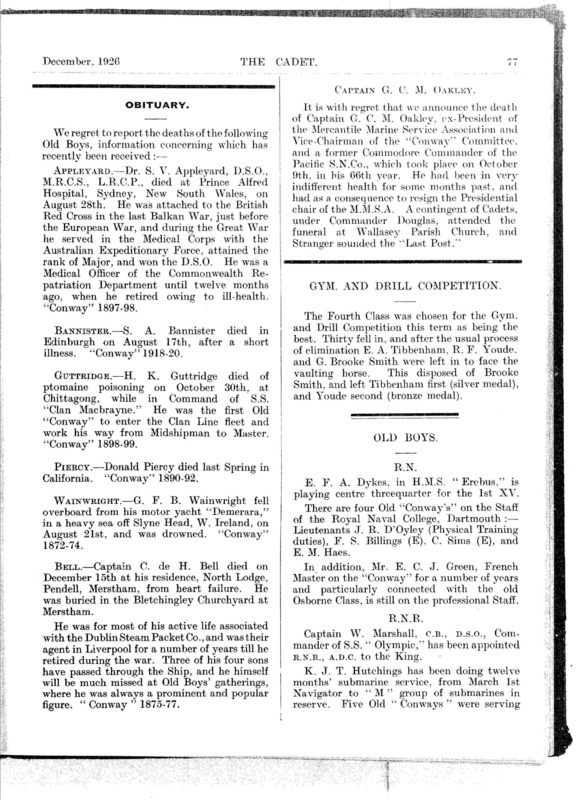 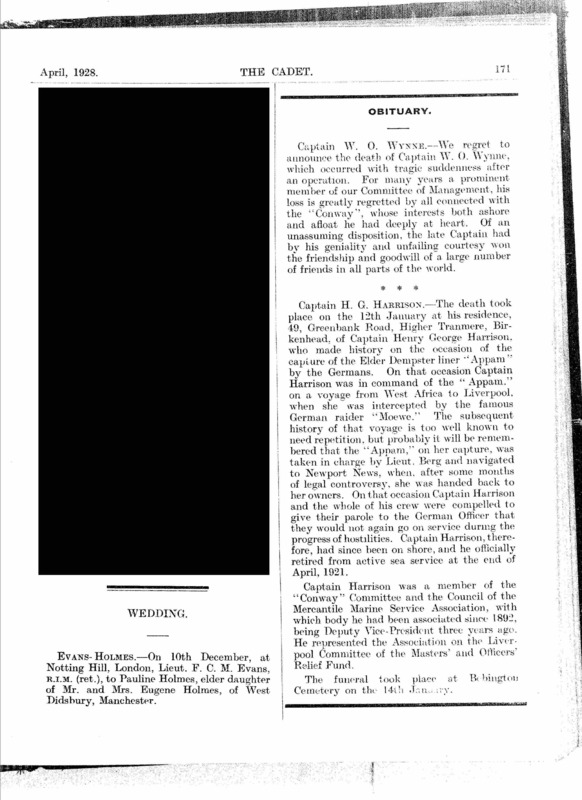 Capt W O Wynne Obituary 1928 early 1900s?